Psalm 106:10-15 10 He saved them from the hand of him who hated them, and redeemed them from the hand of the enemy. 11 The waters covered their enemies; There was not one of them left. 12 Then they believed His words; They sang His praise. 13 They soon forgot His works; They did not wait for His counsel, 14 but lusted exceedingly in the wilderness, and tested God in the desert. 15 And He gave them their request, but sent leanness into their soul. While reading this Psalm, I was struck how quickly good times get bad. In verses 10-12 we see God’s miraculous deliverance of the Hebrews nation at the Red Sea, over the Egyptian enemy. In response to this fantastic rescue we read “Then they believed His words; They sang His praise”. Despite their passionate praise of YHWH for His power, mercy and love, only three verses later we read “And He gave them their request, but sent leanness into their soul”. If you think like me, it sounds like God sending “leanness into their soul” would be a bad thing for the Israelite’s because it is. The word for “leanness” in the Hebrew language means “scantness, a disease of wasting away into sickly leanness”. On first glance the word seems to describe what we would call anorexia, which would be an apt description, from a spiritual sense. In the first place we must understand that Israel’s condition arose from their lack of contentment with God’s provision. Despite seeing miracles which would cause most of us to pass out, they grumble against God for water, and for food more than the manna given miraculously by God. This grumbling was for meat, which God gave them so much of ( in the form of quail), that it layered the ground of the camp up to three feet high (Numbers 11:31-32). Yet even this was not enough for when God gave them what they wanted, they wanted more which would lead to leanness in their soul. Why is this the cases? Because filling our flesh does not lead to contentment, but a greater desire to feed our flesh (Galatians 6:7-8). Therefore the meat they received caused their soul to waste away into spiritual anorexia; God sent the meat which sent the leanness into their soul. In this condition, the more they filled their lusts, the less they trusted God. 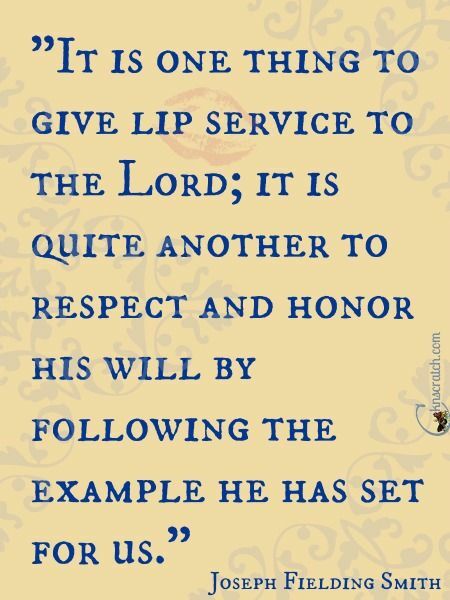 The less they trusted God, the less the wanted to “live by every word which proceeds from the mouth of God”. The less they desired God’s word directing them, the more they wasted away in their relationship to God and His presence. The more their relationship to God deteriorated, the closer to physical and spiritual death they were. So why would God do such a thing to those He so recently delivered? Simply put, they were a rebellious people. (Acts 7:51) 51 “You stiff-necked and uncircumcised in heart and ears! You always resist the Holy Spirit; as your fathers did, so do you. We find from Numbers 26:65 that only Joshua and Caleb and their families, entered into the promised land of those who were born in Egypt. This was because although they said they believed God, they refused to obey Him or be thankful very long. For this reason God sent “leanness into their soul”, like a spiritual anorexia, where they refused to live by every word preceding forth from the mouth of God. Interestingly, we ought to take notice of this passage, as a warning for us. In the New Testament we find passages which illustrate God’s way of operation has not changed, when it comes to those who are thankful and disobedient, even from the beginning. In Romans 1:18-31 we read of the fall of man away from God, until they are turned over to a “reprobate mind”. This state of mind means God stops attempting to speak to them and call them out of their darkness. Why would God ever release a person into such a state? Let the word of God declares it to us. This passage is not isolated in dealing with God taking action that leads to people moving further away from Him. In II Thessalonians 2 we read of those whom God’s sends a “strong delusion” to, that they would fall for the Antichrist’s lies. I admit this sounds shocking, yet the word of God is clear this happens when the human heart rejects God and His truth, not because of a lack of mercy on His part. (2 Thessalonians 2:9-12) 9 The coming of the lawless one is according to the working of Satan, with all power, signs, and lying wonders, 10 and with all unrighteous deception among those who perish, because they did not receive the love of the truth, that they might be saved. 11 And for this reason God will send them strong delusion, that they should believe the lie, 12 that they all may be condemned who did not believe the truth but had pleasure in unrighteousness. (1 Corinthians 10:5-7) 5 But with most of them God was not well pleased, for their bodies were scattered in the wilderness. 6 Now these things became our examples, to the intent that we should not lust after evil things as they also lusted. 7 And do not become idolaters as were some of them. The verse following 5-7 produces a list of poor behavior tracking right along with Psalm 106:10-15, after which we read this often overlooked warning from I Corinthians 10:12 : “Therefore, let him who thinks he stands, take heed lest he fall”. It seems pretty plain that the Holy Spirit is warning Christian’s to be at the very least, sober, as to what awaits if we fall into a pattern, that leads us to saying yes to God’s word while ignoring His commands. If you recall, this is what Israel was ultimately guilty of, which led to death of an entire generation in the wilderness. In fact, the Book of Hebrews, which was written to Christians (albeit immature Christians) warned them definitively. Throughout Hebrews 3 and 4 the inspired writer directly refers to the lost Israelite generation, in whom God “sent leanness into their soul”. What can we learn about their slide into leanness of soul, that will help us to avoid the potential of a similar problem? When considering the praise of Israel after the Red Sea deliverance, we can see it as lip service instead of love for God, for even up to the waters being separated, the majority of Israel either wanted to stone Moses or beg Egypt not to kill them or both. In light of that we can affirm the Hebrews were glad to be on the other side, and in the heat of the ordeal, they understood it was by God’s hand. Therefore, they praised Him and believed His word of about three days. Yet when trouble appeared on the horizon, the lack of faith of the rank and file, was displayed in the spewing of bitter accusations against God’s servant. In essence they were saying “Hey God, what have you done for me lately? It’s been so long since you have done something, I can’t even remember what You last did”. It seems to me that Christians in America are prone to the same fall and can be a very forgetful and ungrateful lot. Have you ever had a season, or even a consistent disposition where you asked “Why are you doing this to me?” or “When does this end?” Have you ever questioned whether God loves you, because the pain and discomfort of your circumstances is more than you signed up to carry? Let us be careful to be continually thankful to God. He could have given us what we deserve in the way of eternal condemnation for our sins. Aren’t you glad we have been given salvation by grace through faith? As previously noted, the Israelite’s forgetfulness led to complaining which only grew louder, as they had to wait on the LORD. In the midst of this discontent, they became impatient and sought solutions outside of God’s leading. In essence they “became wise in their own eyes”. Is this why the inspired writer of Proverb 3:5-7 admonished “Trust in the LORD with all your heart and do not lean on your own understanding; In all your ways acknowledge the Him, and He will direct your paths. 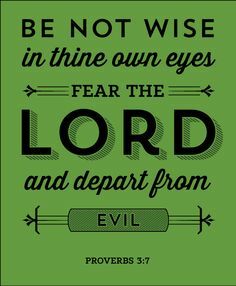 Do not be wise in your own eyes; Fear the LORD and depart from evil”? It may be that not waiting on Him is the chief reason for much of our lack of thankfulness toward God, as it seems we run ahead of Him or want Him to bless what we have concocted. In both cases, the consequences which arise, are normally not what God intended, yet we then expect Him to fix the resulting problems. This second position on the slide toward leanness of soul, is the individual believer’s most necessary practical need for discipline. For the church as a whole, in the United States, this second position on the slide is the main reason for our lack of the manifest presence of God. In our efforts to fill our buildings, we will get behind almost any method that will meet the felt needs of the lost, or show them how much we care. We pow wow, conference about and discuss at length the strategies we need to win our cities, while usually harboring a hidden desire to grow the gathering in our facilities. All the while the lost sit in darkness and we have little Holy Spirit power to pierce the satanic veil around their lives. Until we stop being wise in our own eyes, and wait on the LORD to direct and bless, we will continually train ourselves to rely on ourSELF, rather than God’s power for issues and problems only He can resolve. When this is done it leads to our ministering according to our ideas, preferences and desires and this leads to the next point of decent on a slide toward leanness in our soul. No matter what we may come up with in our counsel, if it is not of the Lord it has arisen from SELF. Our solutions may appear to be godly, even led of the Spirit, but if they are not, they are machinated from SELF. Even when our direction gained is among spiritually inclined Christians and seems to be very common sensical (from a spiritual point of view), if not directly from God it arises from SELF. Any time we are led by self, or feed the self life, we reap more desire for the SELF life (Galatians 6:7-8). We already know the SELF and Spirit of God war against each other (Galatians 5:16-17), yet in Israel we see which one gained the upper hand: SELF. This is not because the Holy Spirit failed, but that they (we) let SELF win. Have you ever known a time where you consistently gave into self, and became aware your desire for God’s word was faltering or your sensitivity to the Holy Spirit was waning? It is for this reason, we are warned from the entirety of the scriptures to deny SELF. Is it possible the slide into leanness of soul is not a real and potential issue for all in the American Church? I realize the word in our passage says “tested” but in the Hebrew it means tempted, in the context of Psalm 106. When looking at I Corinthians 10:9, the word used in reference to Psalm 106, is the word “tempted”. What does it mean to tempt God? It means to taunt Him into proving Himself. Remember Satan attempted to tempt Jesus to do this by having Him jump off the temple, in order to prove He was God’s Son; being that the scriptures report the Father would dispatch angels to catch Him. Why was this wrong? Because Christ had to live in faith concerning who He was, according to the scriptures and leading of the Holy Spirit. There were times where the Father audibly affirmed the Messiah, but those were special occasions. Our trouble is like Israel, in difficult times, we begin to complain “Why did you bring me here if I am your servant?”, or “If I am your child, You need to change my surroundings or circumstances.”, or “I’ll serve you if you simply do this for me as a sign”. I think it is apparent that tempting God, as a Christian is very do-able, if we are not careful (read I Corinthians 10:9). As we have seen, we have potential to fall into leanness of soul or “spiritual anorexia”, if we are unaware of the power of the flesh, even though it be crucified. Therefore let us renew our focus on Christ alone, for in Him all praise, direction, provision and identity are found. Let us refocus our efforts on loving Him with our entire being. This entry was posted in christian living, I Corinthians 10:1-11, Psalm 106:10-15, spiritual anorexia, spiritual leanness, Uncategorized. Bookmark the permalink.